Great reviews for this rare gem have already been written, but even without having anything new or original to add, I feel the uncontrollable need to come here and share the joy with whomever wants to read. This drama is brilliant. It's profoundly human, histerically funny, heartwarming, emotional, at times highly gratifying and - given the premises - surprisingly uplifting. Who would have thought I'd enter prison with gloomy anxiety and come out of it with a huge grin of satisfaction, almost wishing they would prolong my sentence and let me stay a little longer behind bars? 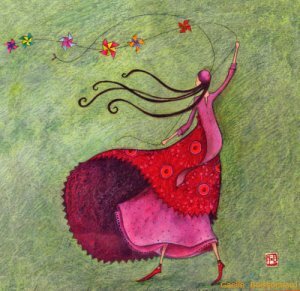 The strengh of the script is the wonderful ensamble of characters. They literally invade the viewer's life with their diverse personalities, background stories and antics. I laughed, despaired, feared, anxiously waited with them and never felt bored, even when the events taking place are paramount only for the characters and not for the script itself. It happens when the world of a drama or movie is so well outlined you forget it's fictional. Fenomenal acting by everyone bar none. Alas, I can't fill up the page with ravings about each one of them: it would take too long, I'd end up being spoilerish somewhere and I'd bore those who haven't watched the drama yet to death. Suffice to say all the actors had the time and the means to shine, both individually as well as a group, proof of their talent but also of an awesome director's work. Perfect score for the music too. This ost does not exist only to soundtrack the scenes, it also exists in the world of the characters, it's listened to by them, even sung by them, so that we have the weirdest blend of classical music, rap, old korean folk, opera and everything in between. There isn't the usual love ballad played at every turn, until it becomes haunting in a bad way. This soundtrack adds to the story, instead of simply working as a background to the written events. Genius. 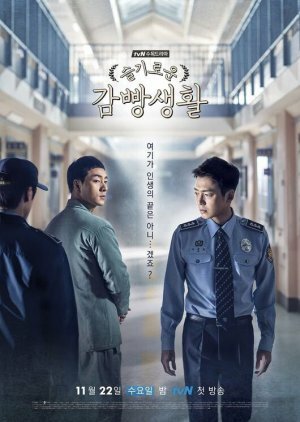 Prison Playbook was warmly recommended to me. I'm deeply grateful to all my friends here who encouraged me to watch it and I hope this short review may have the same effect on others. Perhaps some of you are hesitating because of the setting: indeed, there's no glamour here, no super trendy clothes to show off with, no highly dramatic love story, and the goodlooking actors aren't here to simply beautify the set. This drama goes deeper than that, it will make you laugh a lot and it will make you cry, but rest assured you won't regret a single tear. My only warning: the first episode. Now that I have completed the drama, I could rewatch it with a new perspective. The first time around however, that long pilot felt kind of hard to get through. Hang in there, please. It's worth the patience!